Sukin Naturals is a natural skincare line offering a range of products from facial cleansers and moisturizers to hair care and body lotions. Their products are made without synthetic chemicals, additives, or harsh ingredients and are great for sensitive skin. 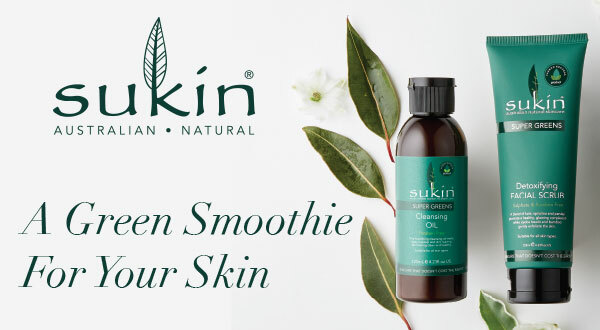 Australian-made, Sukin is committed to using recyclable materials, offsetting their carbon footprint, and providing skincare that is environmentally conscious. I’ve loved using Sukin Naturals for well over a year now and appreciate that their facial skincare products don’t irritate my skin – while providing moisture and hydration without being oily or greasy. I also love their dedication to using clean ingredients. The available ranges cover every need from sensitive to ageing skin, so there is something for everybody, and they even offer baby products! My favourite part, however, is the price! Sukin products are affordably priced without skimping on quality and value. If you’re interested in trying the brand for yourself, more information can be found on their website, SukinNaturals.com, and they a currently sold at Rexall, Well.ca, Real Canadian Superstore, and select Bulk Barn locations.